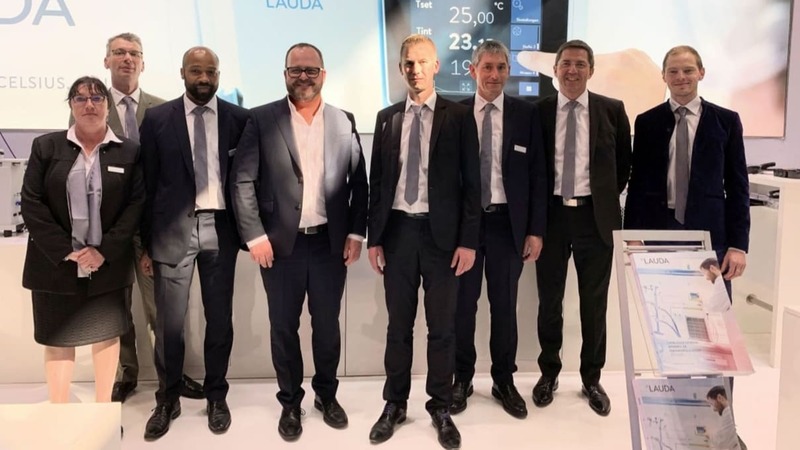 A few days ago, the Forum LABO marked the end of a successful trade fair appearance for LAUDA, the world's leading manufacturer of temperature control units and systems. For more than 60 years, the name LAUDA has stood for professional and reliable temperature control in the laboratory. France is one of the most important markets for LAUDA. The family business founded its first subsidiary there in 2005 and has been operating in the neighbouring country with steadily growing success ever since. At the Forum LABO, LAUDA presented its broad portfolio of temperature control units for laboratories, research & development and production in a new design. With the LAUDA PRO, the user has at his disposal a scalable de-vice line with a remarkable overall concept that is used in a large number of industries. The circulation thermostats for professional applications in test benches, reactors, climate chambers or distillation plants in the chemical, pharmaceutical, biotech, mineral oil, automotive or electrical engineering industries enable temperature control from -90 to 250 °C and convince with dynamic temperature changes and a compact design. With the new Integral line of devices, LAUDA is presenting for the first time in Paris a completely new development of powerful process thermostats with an intuitive operating concept that, among other things, allows control via mobile terminals. With its completely redesigned exterior, the thermostat also attracted a lot of attention from visitors to the trade fair. 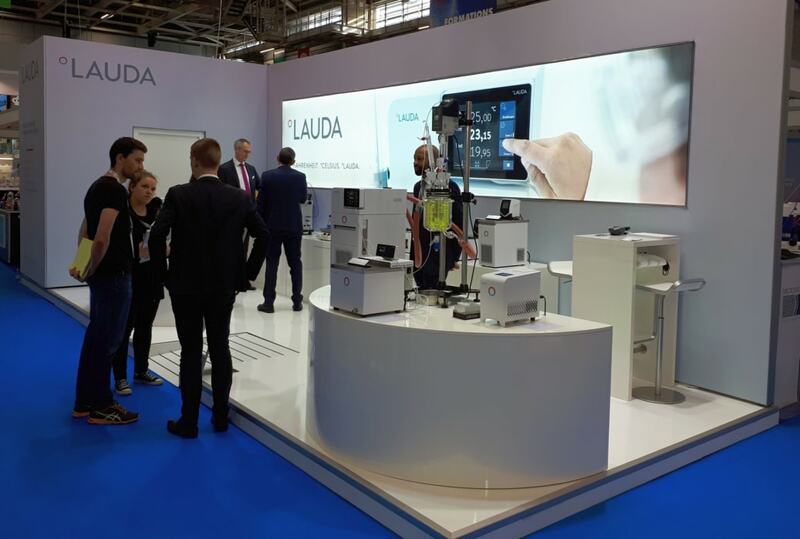 "with the new Integral line of devices, LAUDA is presenting for the first time in Paris a completely new development of powerful process thermostats"
In addition to the LAUDA temperature control units, a selection of laboratory units from GFL also awaited the trade visitors. LAUDA acquired the German premium manufacturer for laboratory technology from Burgwedel at the beginning of the year. For the first time, both companies presented their joint portfolio under one roof, including distillation apparatuses, shakers and water baths. The President and CEO of LAUDA, Dr. Gunther Wobser, who visited the Forum LABO and the LAUDA stand, was delighted with the positive response at the trade fair. The French market is an important pillar for LAUDA. I am therefore delighted that Forum LABO has stabilised as an exchange platform with our French customers and dealers.